When the padded mailers are not enough to contain your gifts, you will need one of these shipping, packing and cardboard boxes. They are each designed to fit different kinds of things with different shapes, weights and vulnerabilities so that the contents stay secured and safe inside these boxes. You can also use them when you need to move from one house to another. Now let’s see what each box has to offer. Side loading boxes are perfect for containing documents, magazines, photos and frames. Perfect for small, lightweight products, the pye-lock tucks on the cartons allow them to be locked securely. These are awesome to use as layering for important documents. Avoid photos or documents accidentally cut when the receiver opens the envelope. Putting these pads will prevent wrecking the real document. The 2-piece boxes are economical and stackable. Put your documents inside and put on the removable lids to keep it clean and tidy. Prints on the exterior of the boxes make easy identification. These boxes offer better look for your file storage. They’re white, pre-printed for identification and tabs on lid interlock through hand holes add more strength. Fancy sending book or picture frame (with picture obviously) as Christmas gift? 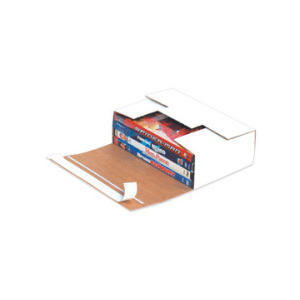 Ship and protect it with a corrugated bookfold. Flat mailers are perfect to send documents, photos, artworks or reports. It’s not easy to bend or crush it and it’s lightweight too to save on postage! Alternatively, you can also use the padded mailing bags to further protect this type of content. You’ve got to love this item. It’s super strong. It’s lightweight (great to save on postage!). It’s easy to fold! Take a look at the rich sizes of these mailers now. CD is the Christmas gift? Send it away with this Self seal CD mailer. It’s made specifically to protect CD cases during shipping with easy pull tab opening and peel and seal closure. Just like the above CD mailer but for DVD’s (up to 4 DVD’s in a box). Is it a large photo print that you want to send? Or a painting? Send it with a fiberboard mailing tube. Simply roll it and snug it inside this tube. So there are so many ways to brighten up beloved people who live far from us. A meaningful Christmas gift shipped properly is one of them. Great list of mailer boxes and shipping boxes. Liked the information shared!